A recent study by the Urban Institute reported the baby boomer generation is changing the retirement game due to better health care, longer life expectancy and more financial responsibilities. The study said that men who are 65 years old are projected to live six years longer than those who turned 65 in 1970. This generation is also working longer than previous generations. Partly due to better health, but also to afford the increased costs of living. Some adults may even benefit from more Social Security by working longer. Overall they are working longer to be able to afford their future.The new reality is that most baby boomers are relying on their savings versus a pension plan. Only thirty percent of baby boomers are covered by a pension plan and just eleven percent of adults born in 1980's will be covered by one. This means the majority of Americans will need other supplemental sources of retirement income. Contributions to a 401(k)s can help with this, however investments such as annuities and life insurance for retirement are becoming more and more attractive to retirees. Is it surprising that the baby boomers and the next generation to follow is said to have an increase in debt to worry about? According to the Health and Retirement Study, 24 percent of adults continue to make mortgage payments in retirement. This is up from 16 percent reported in 1998. How will retirees pay off debt while also needing to pay for normal day to day costs of living? The median amount owed among older adults with debt was $24,500 in 2012. Advisors are using products like fixed index annuities to allocate payments to retirees while generating higher rates of return than traditional savings accounts. These products and various life insurance products can also protect assets to be passed on to the next generation. Likewise, options like Long Term Care and Critical Illness riders are being added to life insurance policies to help pay for medical needs that can arise with the increased life expectancy. There is certainly a need and value for financial planners to provide retirement planning to their clients. In fact, LIMRA Secure Retirement Institute found that half of advisors estimate 50 percent or more of their business activities come from retirees and pre-retirees. This was just three in ten back in 2011. With so many diverse products available, what's the best one? Many advisors recommend the bucket or systematic withdrawal plan (SWP) as an income strategy for their clients. Allowing clients to allocate and manage assets with short-term fixed-return investments for current income. Intermediate-term investments gradually converted into short-term investments and long-term investments with conversions into intermediate investments. There has also been a trend in advisors shying away from guaranteed lifetime income products due to the inflexibility, even though the benefits are clearly recognized. Forty percent of advisors feel that guaranteed income products prohibit the ability to manage a client's portfolio as their circumstances and needs change. So, as an advisor what is best practice? LIMRA also reports that 30 percent of advisors believe products are too complicated to explain to clients. Retirement income planning can certainly be a confusing topic, however with six in ten advisors recognizing they cannot meet their clients' retirement goals without compiling a retirement income plan, there is certainly a need for financial planners to protect their clients retirement income. 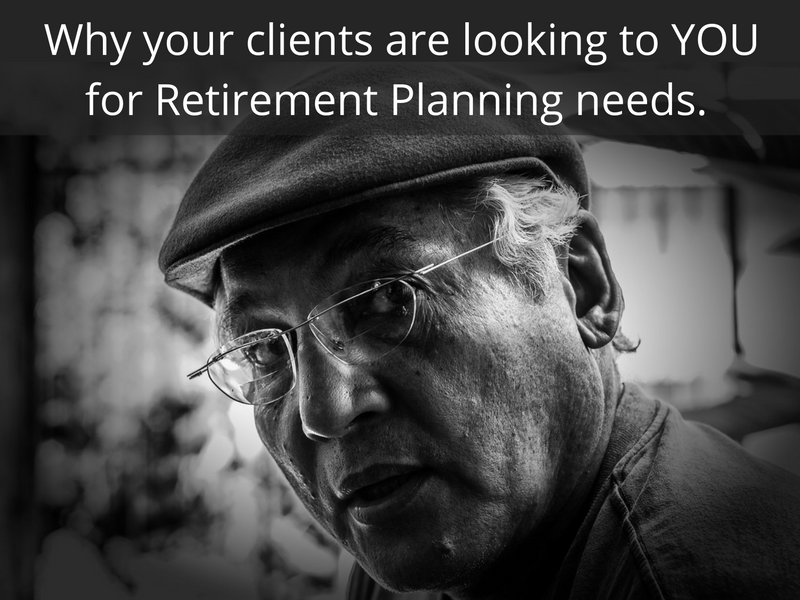 Are you looking for assistance in migrating to a retirement focused approach? BSMG's Annuity advisors are here to be your partners in explaining the complexities of these products.